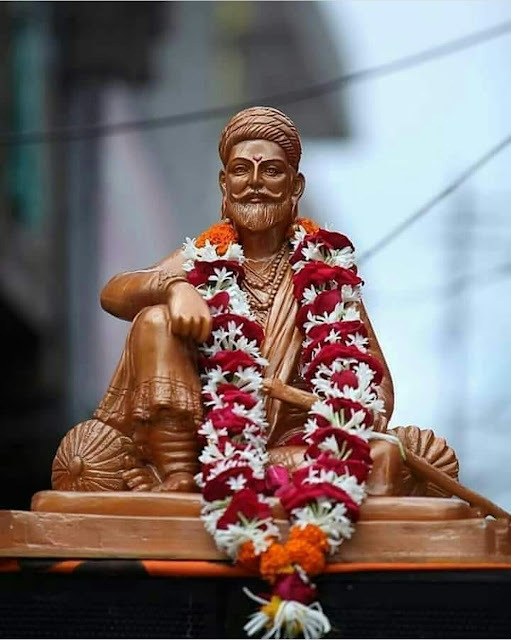 Shivaji's Guerilla Tactics: Shivaji's enemies were very powerful. They had unlimited troops, artillery and ammunition at their command. Compared to the enemy forces, Shivaji's army was very small. How could this small army give open battle to the enemy's vast forces? Shivaji made very clever use of the local terrain for warfare. Maharashtra is a hilly country full of forests, deep valleys, ghats and hills. The enemy troops carried heavy equipment which hampered quick movement. As against this, the Maratha soldier carried very light arms a shield, a sword, and a spear. Therefore, his movements were very rapid and he could get about the hilly country with great speed. The Maratha soldier was tough and swift-footed. The great skill with which Shivaji used these physical qualities stamps him as a military genius of the first order. As far as possible he avoided giving open battle to the enemy. Shivaji's war strategy greatly depended on his hill forts. A fort gave control over the surrounding territory and when well stocked with food and ammunition, its small garrison could hold a large army at bay for two years or more. If confronted by a strong enemy one could always retreat to the safety of a fort. 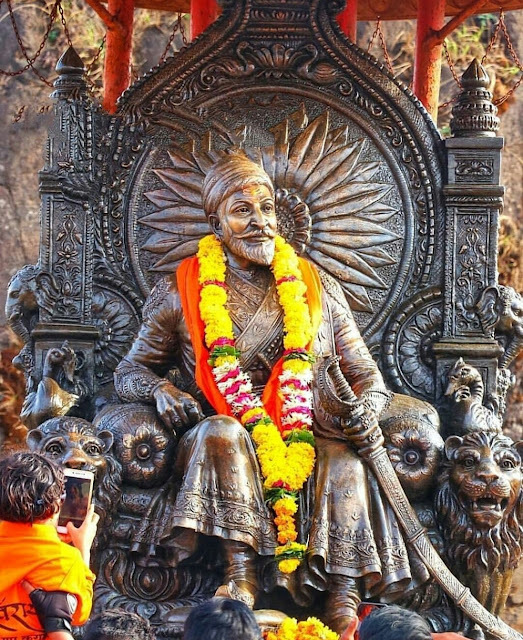 This is the secret of Shivaji establishing his capital first at Rajgad and then at Raigad, and not in any city of the plains. Shivaji appointed men of different castes and communities to guard the forts. The work on these forts was carried out smoothly.The enemy could not bring about any acts of sabotage or treachery on the fort. All this shows Shivaji's foresight. Conscious of thc danger to Swaraj from the Siddi, the Portuguese and the English, Shivaji with great foresight, built up a navy. He built strong sea-forts like Sindhudurg and Vijaydurg. Even today one is struck with admiration just to see them. Shivaji weathered many storms and steered the ship of Swaraj to safety. His valour and statesmanship were the mairn reasons of his success.